HomeOrganic ProductsLa Minoterie des Anciens Inc.
A company owned by Quebec business woman Mrs. Denise Verreault. They are a processor that offers to Quebec farmers the opportunity to supply them with different grains in order to market a range of products meeting “Gluten Free” requirements. Different flours, whole grains, oatmeal, hulled seeds and oils are offered to retail and bulk distributors across Canada. 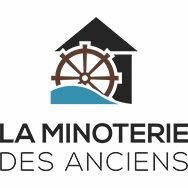 The products are commercialized in bulk under the trademark ” La Minoterie des Anciens “. They also source grains from local areas in Quebec and outside (quinoa, brown rice and white rice, chickpea, amaranth, green lentils, millet, potato) to complement their gluten free offerings. All of their products are Organic certified by Ecocert Canada, Kosher International and Gluten-Free. The accreditation for HACCP (GFSI) is in the final stages and will be ready at the end of 2017. The objective of La Minoterie des Anciens Inc. is to provide an option for a healthy diet while at the same time helping their partner farmers, and working to help save our planet.